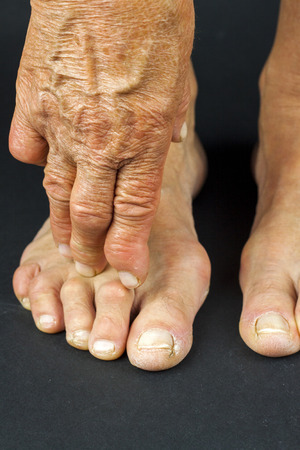 A hallmark of this abnormality is a bend in the middle joints of the middle toes. They will appear in the shape of a hammer, which is why they are called hammertoes. This is likely to be caused by an imbalance between the muscles and tendons in the toes and can be exacerbated by wearing tight-fitting shoes like high heels. The best time to treat hammertoes is in the early stages when they are still somewhat flexible. When untreated, hammertoes become more rigid and painful and surgery may be needed to straighten them out. If you need help with hammertoes, consult with your foot doctor for the optimum care. The foot specialists at ETL Podiatry in Briarwood and Melville, NY, have unparalleled experience in treating all aspects of foot and ankle problems. Our team of doctors is dedicated to serving you with all of the newest diagnostic and treatment technologies. If you have any questions or would like to make an appointment, please feel free to contact one of our offices located in Melville, NY (631)-549-8637 and Briarwood, NY (718)-657-8921.